Lane. 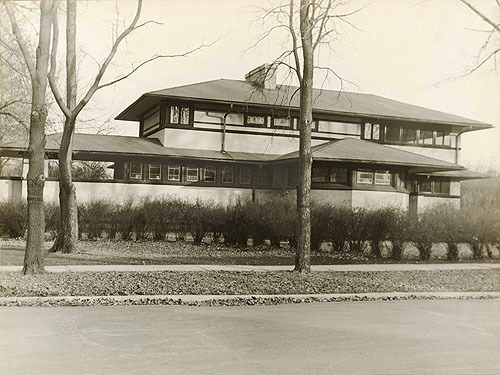 He photographed building in the Chicago area including many of Wright’s work. 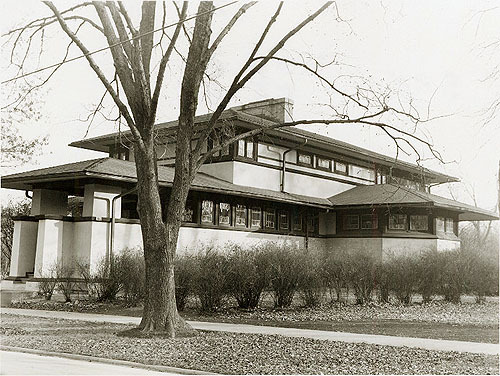 His photographs were given to the Oak Park Public Library after his death in 1961. SAIC dates these images between 1935-1945. 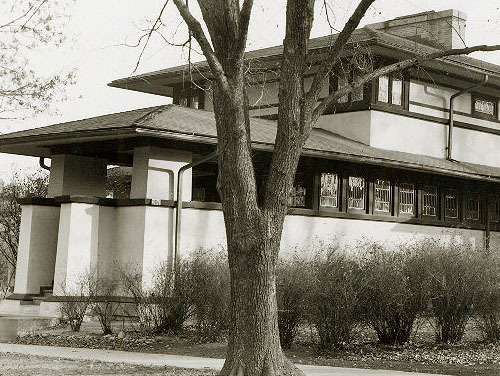 Courtesy Oak Park Public Library. 1: Viewed from the North West. 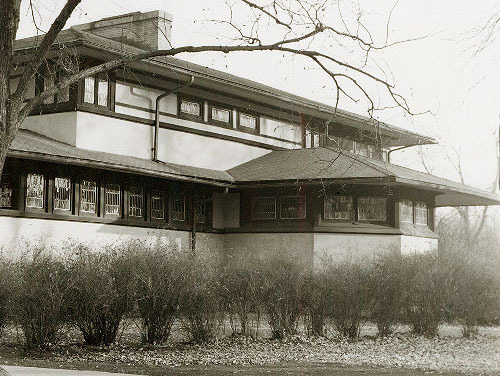 Strong horizontal lines, low-pitched roof, broad overhanging eaves, horizontal rows of leaded glass windows the prominent centrally located fireplace. The covered Porch is on the left, the Entry and 27 foot long Hallway are next with the Library on the right. The back terrace has been covered and the floor above is enclosed. There are four bedrooms upstairs. 1a: Detail of the covered Porch on the left, and the Entry to the right. 1b: Detail of the Library on the right. The back terrace has been covered and the floor above is enclosed. There are four bedrooms upstairs. 2: Viewed from the North West. 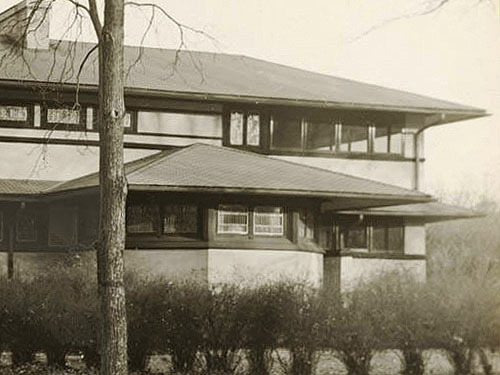 Strong horizontal lines, low-pitched roof, broad overhanging eaves, horizontal rows of leaded glass windows and the prominent centrally located fireplace. The covered Porch is on the left, the Entry and 27 foot long Hallway are next with the Library on the right. There are four bedrooms upstairs. 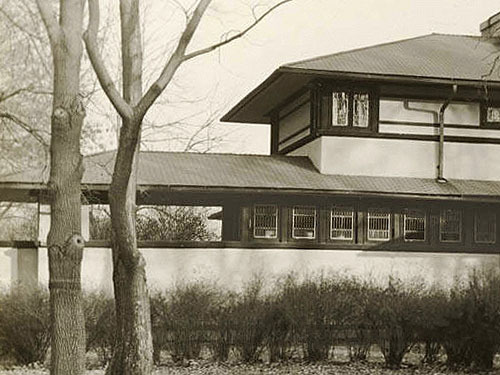 2a: Detail of the covered Porch on the left, the Entry and 27 foot long Hallway are on the right. 2b: Detail of the Hallway on the left, and the Library on the right.